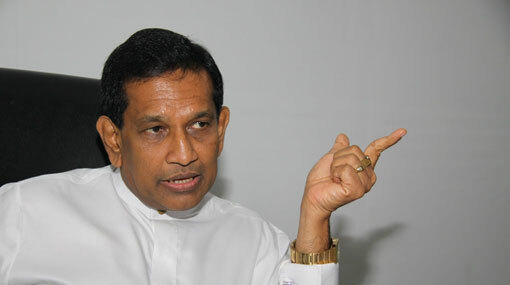 The Government Medical Officers’ Association (GMOA) also accounts for the shortage of medicine caused due to the political crisis which lasted for 53 days, says the Minister of Health, Nutrition and Indigenous Medicine Rajitha Senaratne. He stated this addressing the foundation-stone laying ceremony for a three-storey building at the Pottuvil Base Hospital. The minister further said the Health Ministry functioned in accordance with the instructions of the GMOA during the 53-day political crisis, hence the association is responsible for the medicine shortage. Furthermore, addressing an event in Panadura, Minister Senaratne he said steps have already been taken to overcome the existing medicine shortage at the hospitals across the country. Stating that overcoming the drug shortage and restoring the situation takes a long period of time, he said the prices of 73 essential drugs have already been reduced and prices of 27 more essential drugs would be slashed in the future. Although the incumbent government is accountable for only certain incidents of robberies, the former government had engaged in murders, kidnapping as well as in robberies, the minister said addressing the event further.